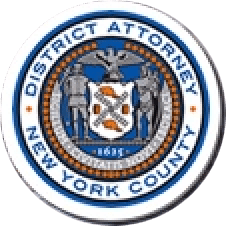 Manhattan District Attorney Cyrus R. Vance, Jr., today announced the sentencing of JOHN KOJO ZI, 55, to 4-to-12 years in years in state prison for stealing titles to five buildings on the Upper West Side and in Hamilton Heights by filing forged deed transfers with the New York City Register’s Office. On July 11, 2017, the defendant was convicted by a New York State Supreme Court jury of all of the charges in the indictment against him, including Grand Larceny in the First and Second Degrees, Forgery in the Second Degree, and Offering a False Instrument for Filing in the First Degree, among other charges. As proven at trial, beginning in September 2013, ZI fraudulently obtained titles to four buildings on the Upper West Side and one building in Hamilton Heights by filing forged deed transfers with the Register’s Office. On September 26, 2013, ZI filed a forged deed transfer purporting to purchase a building located on West 145th Street from its legitimate owner, the 468 West 145th Street Corporation. The forged transfer included a fraudulent signature from an individual claiming to be the president and owner of the corporation. ZI was also convicted of forging an additional document supporting that individual’s claim, when, in fact, that person had no association with the corporation and was therefore unable to authorize the property’s transfer. On April 30, 2014, the defendant filed fraudulent deed transfers for three adjacent townhouses located on West 84th Street. ZI forged the signature of the legitimate owner on the documents, authorizing the transfer of the buildings to an unrelated real estate corporation without the consent of the owner. Finally, on April 24, 2014, ZI filed a fraudulent deed transfer for a property located on West 73rd Street, transferring the property from its legitimate owner, Aviation Distributors, to his company, Kojo Global Real Estate Development. In September 2014, in order to support his claim to the property, ZI made false assertions to the Register’s Office that Aviation Distributors was founded by his father. ZI also provided the New York City Sheriff’s Office with a fraudulent contract dated December 1, 1976, purportedly showing Aviation Distributors’ original purchase of the building for $360,000 cash, in an effort to legitimize his claims. Assistant District Attorneys Carey Ng and Jerrold Steigman handled the prosecution of this case under the supervision of Assistant District Attorney Gary Galperin, Senior Investigative Counsel to the Rackets Bureau, Assistant District Attorney Michael Ohm, Deputy Chief of the Rackets Bureau, Assistant District Attorney Judy Salwen, Principal Deputy Chief of the Rackets Bureau, Assistant District Attorney Jodie Kane, Chief of the Rackets Bureau, and Executive Assistant District Attorney Michael Sachs, Chief of the Investigation Division. Associate Financial Investigator Wei Man Tang and Former Rackets Investigator Matthew Grieve assisted with the investigation, under the supervision of Donato Siciliano, Supervising Rackets Investigator; Michael Wigdor, Assistant Chief Rackets Investigator; and Walter Alexander, Chief Investigator. Former Paralegals Nina Stender and Stephanie Alvarez and former Special Investigator Ian Kellaway also assisted with the case. District Attorney Vance thanked New York City Department of Finance Commissioner Jacques Jiha and the Office of New York City Sheriff Joseph Fucito, including Investigators Michael Trano and Jonathan Saat, for their assistance with the investigation.